"An island between the sky and water, an island ....... "This song from the musical" Napoleon, "could not be better suited to the pearl of the Mediterranean : Corsica. L'Ile de Beauté receiced certainly its nickname from the many natural treasures, it reveals to its visitors, coming by land as well as by sea. Sometimes it is better to use all the resources to fully enjoy its beauty. 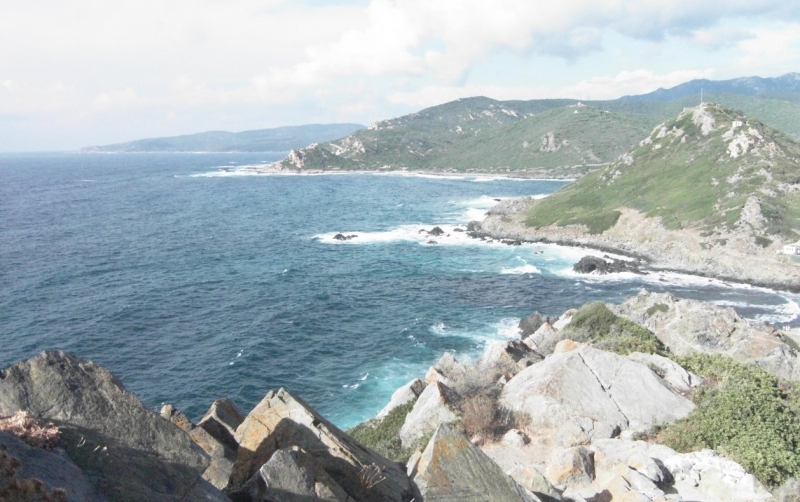 The true Corsica, beautiful, wild, keeps, hidden to people who do not make the effort to deserve it, its jewels scattered everywhere inside its land or along its coastline. Some of these gems are only accessible by boat, such as Sanguinaires, which can be seen only very partially from the coast. 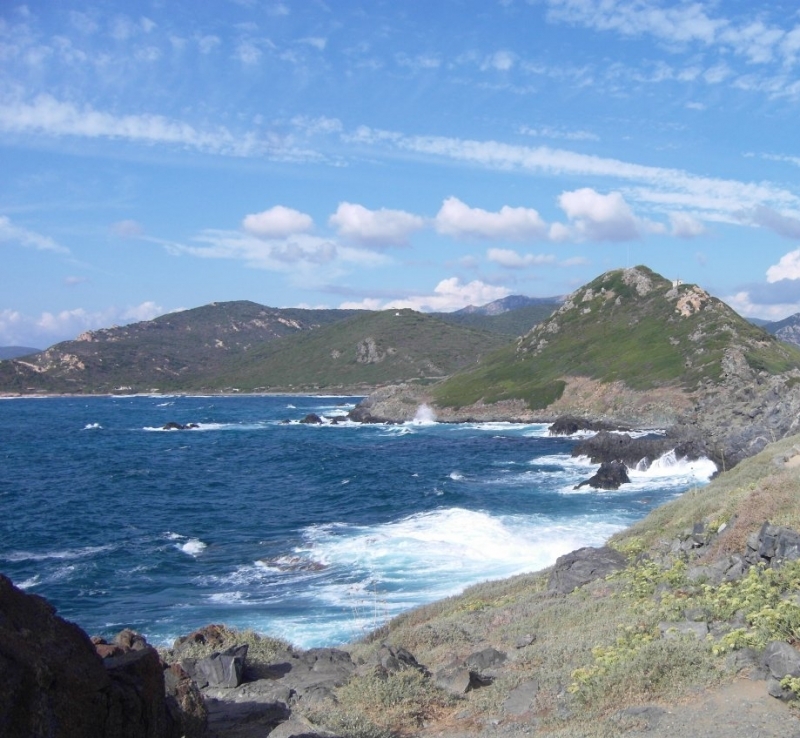 From Ajaccio, the view is breathtaking on the Sanguinaires Archipelago. 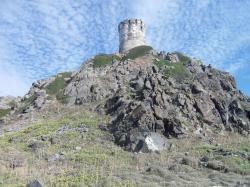 The road to the Sanguinaires runs nonchalantly along the coast, at the south of the city. It stretches its long ribbon of asphalt in front of superb villas, coves and beaches that make you want to rest and enjoy the sound of waves, swimming in their clear waters, or scuba diving in the crystalline. 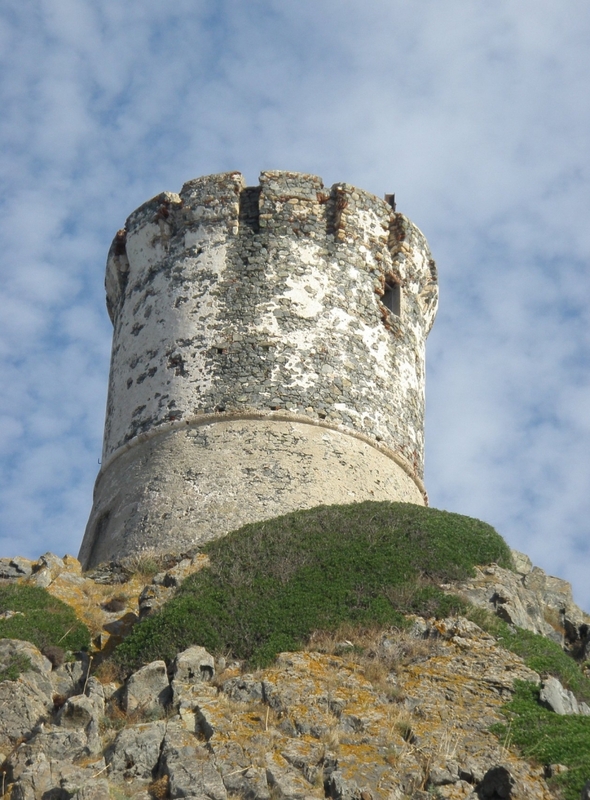 Down this road lies the edge of Pirata, and its Genoese tower, kept in excellent condition, and close to it, the Sanguinaires Archipelago. But hiking is the only way to visit this sunny island. The ridge trail, a pleasant and easy hike for all, starts from the city center and allows you to admire fantastic views across the Gulf of Ajaccio. There, in the middle of the sea, stands a cluster of rocks in the dark purple porphyry, separated into 4 distinct islands. Perhaps it is due to this peculiarity that they owe their name of "bloody" when the sun's rays affect them, and not the memory of bloody battles that reportedly took place in this place, in ancient times. But it may also due, romance requires, to the Franken, the little pink flowers which turn bright red in autumn. However it is more likely that the name is a derivative of "sagonari" since on the old maps, these islands are not far from the Gulf of Sagone. 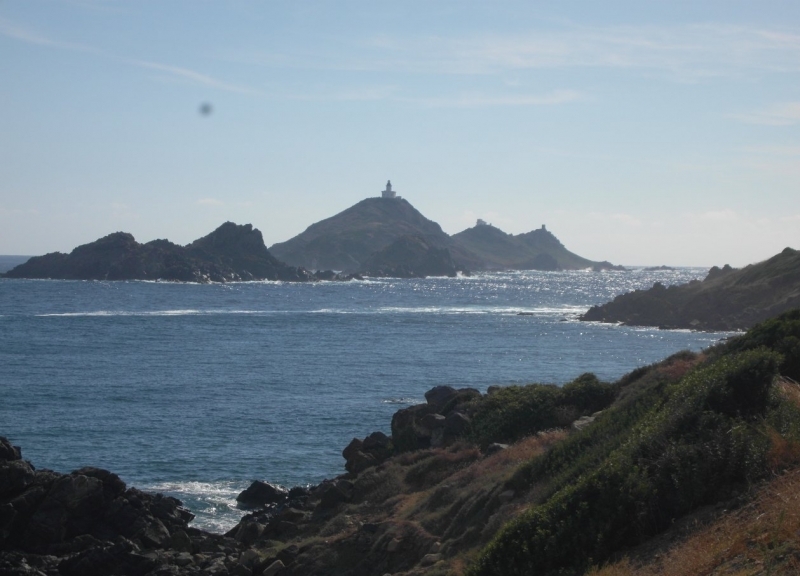 The Sanguinaires form the mallest nature reserve and they are a classified marine site. The archipelago covers only 2,000 square meters. 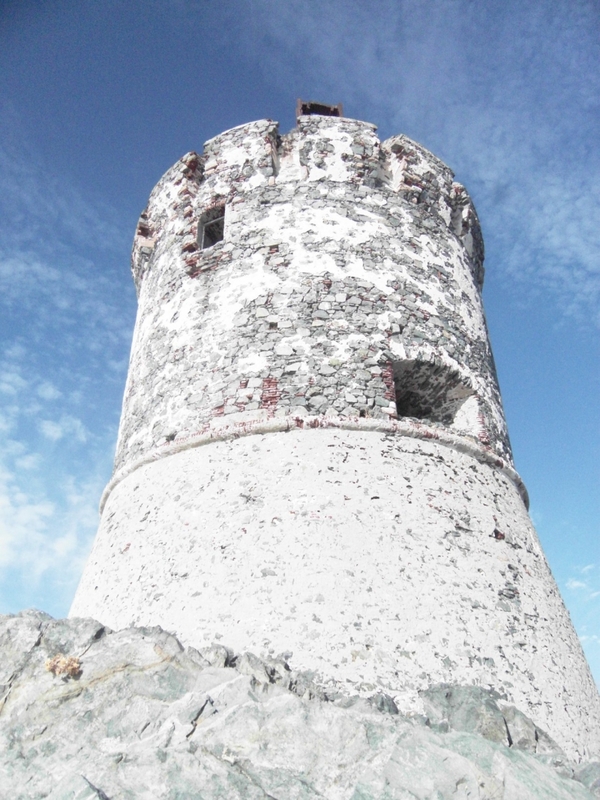 La Great Island or Meza Mare, retains its lighthouse dating from 1870, built on the highest point, 80 meters above sea level, which has helped number of seamen to return safely in the Gulf of Ajaccio. The lighthouse is now fully automated. The semaphore built in 1865 and decommissioned in 1955, the Castellucio tower was built around 1550 that there are still some remains, The Lazaret, service building built in 1806, which was used to quarantine Reef fishermen returning from Africa, and was called "the black blood", the "Sanguinari". It is difficult to imagine that the last resident of this pile of rocks had left in 1985. The Porri Island, which owes its name to the wild leeks that grow there. Fans of history will recall that Napoleon used to go on this island when he wanted to sit and think in peace. But lovers of literature, will have no doubt in mind, the lines of Alphonse Daudet, who immortalized the Sanguinaires Archipelago in "Les Lettres de mon Moulin". Info: Palm Beach features direct access to the private beach and a Michelin 1-star restaurant with a terrace overlooking the ocean. This 4-star hotel offers rooms with sea views and is just 5 km from Ajaccio city centre. Info: The Hotel Stella di Mare is located on the golf of Ajaccio in Corsica. It offers direct access to the beach and has a sea water swimming pool and an outdoor bar. Info: This Relais & Châteaux is located 6 km from Porto-Vecchio and 1.5 km from the beach, in south-west Corsica. Each room has a private bathroom, air-conditioning, TV and free Wi-Fi.